Fiddler's Green is situated in the central square of the historic and attractive small town of Portaferry within a stone's throw of the ancient castle. 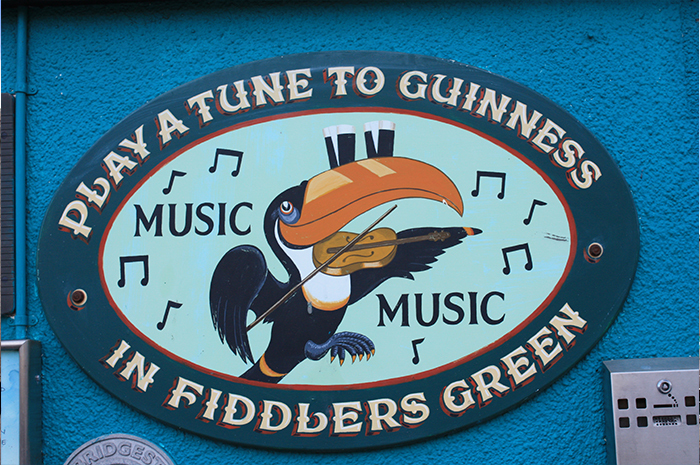 Fiddler's Green is famed for its characterful bar, hugely popular with locals and visitors alike because of the wide variety of live music played and the welcoming and convivial atmosphere (the Guinness is second to none also)! In addition to the bar, Fiddler's Green has a large lounge situated to the rear of the building known as The Quarter Deck. Here you can enjoy a drink with friends and listen to one of the many bands who perform here. The Quarter Deck is also used as a function room - to make a booking please contact us for details. The name Fiddler's Green comes from an old sea shanty of that name. It is said that fishermen believe that when they die they go to their "Valhalla," Fiddler's Green, "where the girls are pretty and the beer there is free, and I'll see you someday in Fiddler's Green!"